Another European location for the London facility's new global educational initiative has been announced. Abbey Road Institute, an international initiative started by Abbey Road Studios, is to open a new campus in Amsterdam, the Netherlands. 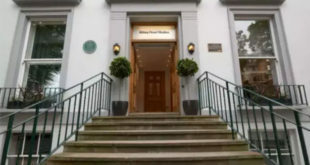 Announced back in March 2015, Abbey Road Institute is a global initiative taking place at key locations across the globe, offering Advanced Diplomas in Music Production and Sound Engineering via a one-year, hands-on programme built around the studio’s 80 years of experience and taught by respected music industry experts. The Amsterdam location follows several locations in the UK, Germany, France and Australia, where the institute is expected to open its second Australian school in July following its acquisition of Sydney-based Studios 301 last September. The curriculum has been developed by audio educational specialists in conjunction with Abbey Road Studios engineers. 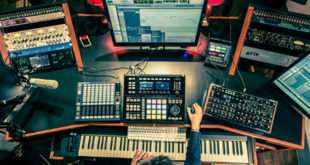 It covers all aspects of music production and engineering, focusing on three main areas: sound engineering, production techniques and the music business. Abbey Road Institute Amsterdam is based in Europe’s largest music-makers centre, known as Q-Factory. The centre houses a variety of music-related companies and spaces, from artist management facilities to rehearsal rooms and concert halls, offering a place for music professionals to network and collaborate with all the tools they need at hand. The state-of-the-art multi-studio facility is currently under construction in Q-Factory, led by a team of international and local experts. This includes the upcoming Sonic City Studios as well as the Abbey Road Institute. The Amsterdam Institute will be the only location on mainland Europe to offer the programme in English, and will also welcome international applicants. Classes are scheduled to begin autumn of this year. The Institute is now accepting applications for a limited number of places in the September 2016 intake in Amsterdam. The first open day is scheduled for May 2016.